Insta Emoji Snap Photo is a powerful photo editor and collage maker for you to create amazing collage photos, stickers, backgrounds, text with layout and frames. 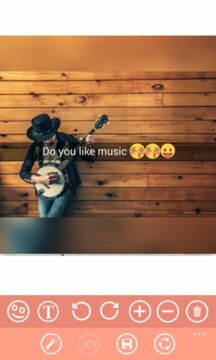 Insta Emoji Snap Photo is the best collage maker and photo editor that helps you stitch multiple photos with myriad layout frames and photo grids. Insta Emoji Snap Photo is an easy to use and powerful photo editor and collage maker! Insta Emoji Snap Photo Pro includes funny face swapper, motion photo stickers and filters. Dress photos with funny doggy face, ears and nose with dog snap filters. Add snap photo filters, stickers, and snap effects on your pictures change your face into doggy face with a snap of finger. Turn videos into artworks with Photo Editor face live camera motion stickers to swap face. Snap or choose photo from the gallery, adorn faces with funny dog filters, emoji and stickers. Experience the fancy face swap snap photo editor, make fun with funny animal filters, motion stickers and effects. Enjoy selfie with motion faces and snap photos. Boost creativity with face snap shots, fun filters and motion stickers. Shoot funny videos via live face camera effects, share videos instantly on Instagram, Facebook and social platforms.